Building a family home remains a special occasion for everyone. Everyone hopes to design a house for oneself and one’s family that is as close to one’s dream as possible. If you are very close to realising your dream of building a family home soon, then keep in mind the designs of these spectacular small houses. 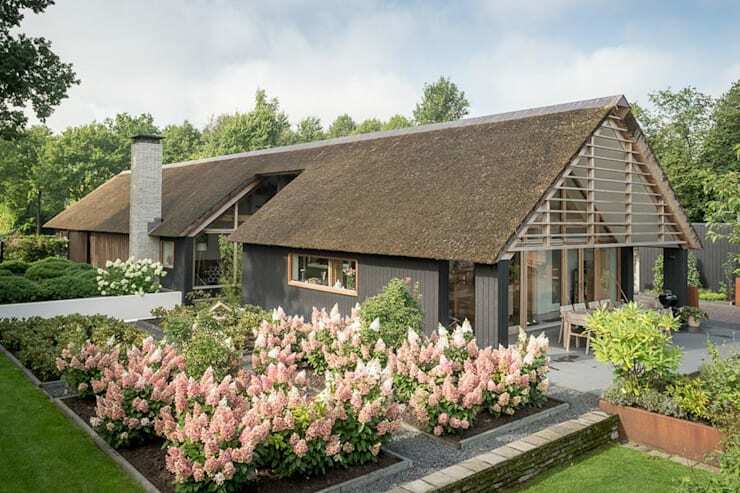 This thatched roofed home is set in its own carefully decorated garden. Its spacious interior is decorated in a modern style and does not lack in any kind of comfort. Fresh air and sunshine is aplenty here. And, if you are wondering about the thatched roofing system, let us assure you. It is one of the most quality insulating materials for your modern home. Find out some creative ways of designing a small garden. 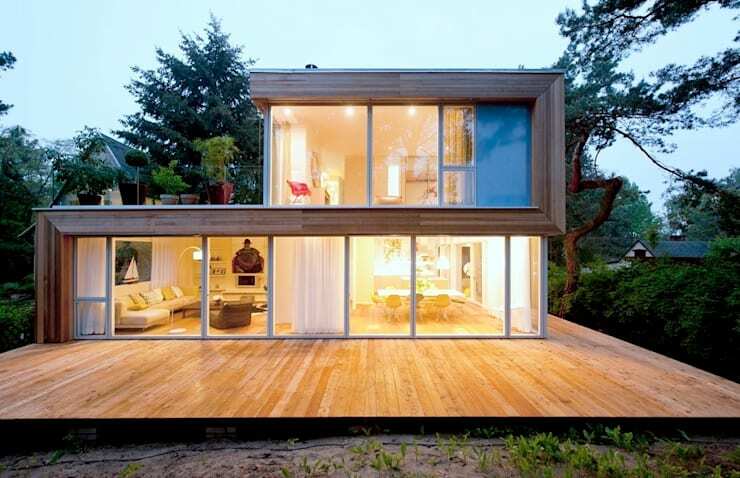 The design of a house should also be highly energy efficient. This style of this house shows how to fulfil this aim in style. The building is designed with sustainable materials, is properly insulated and is installed with solar PV cells. Wish to build a house just like this one? Have a talk with an expert architect today. This contemporary two storey building is decorated with painted brick façade. Interplay between dark and pale grey shades make it look interesting enough. A combination of vertical and horizontal windows makes its façade look all the more attractive. Do you feel the simple straight lines and boxy patterns of the modern homes slightly disconcerting? 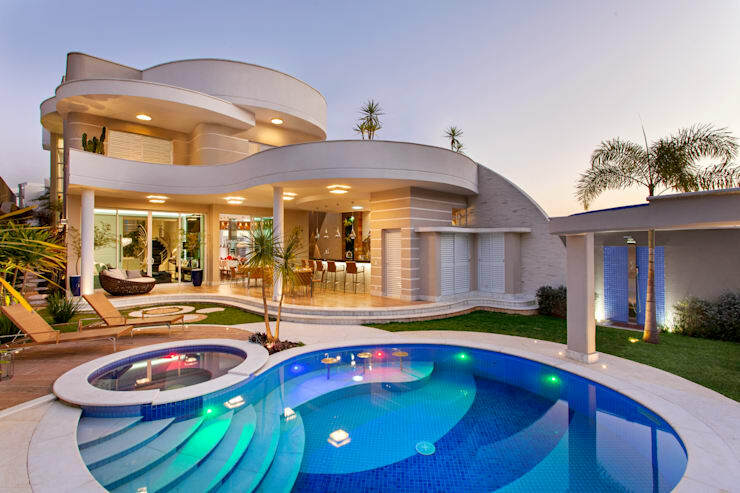 Then use the design of this house to include curves, and lots of it, in the structure of your building. The wave like lines and stylishly designed interior, similar to this family dwelling, is bound to give your home an exception look. 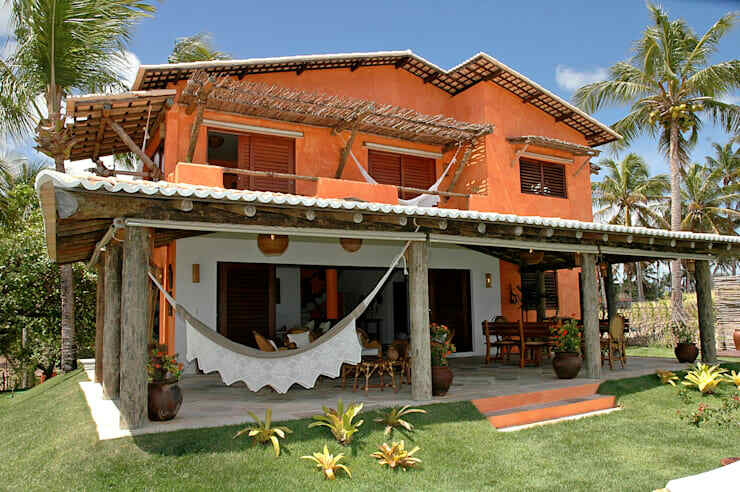 The rustic tropical design of this family house makes it stand apart from the rest. Its spicy orange colour scheme and wood accents help it merge effortlessly to the exterior environment. A spacious patio is used for relaxation or occasional partying with friends and family. 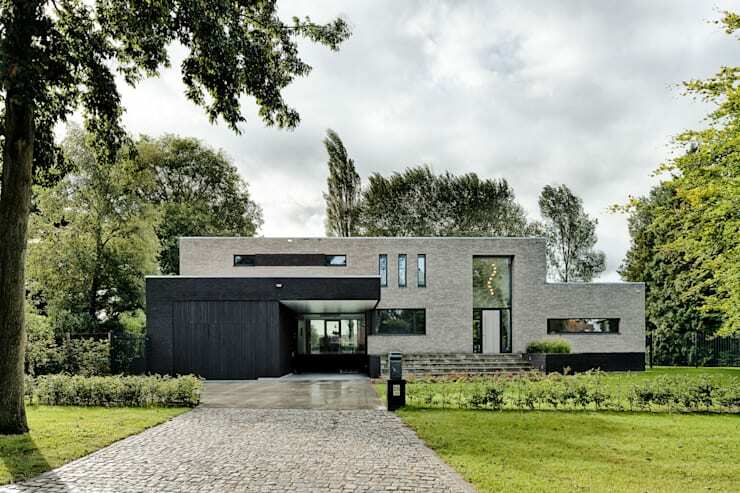 Behind the simple façade of this contemporary house, lies a cosy home. It is designed with spacious living room, bedroom, kitchen, dining area and bathroom. 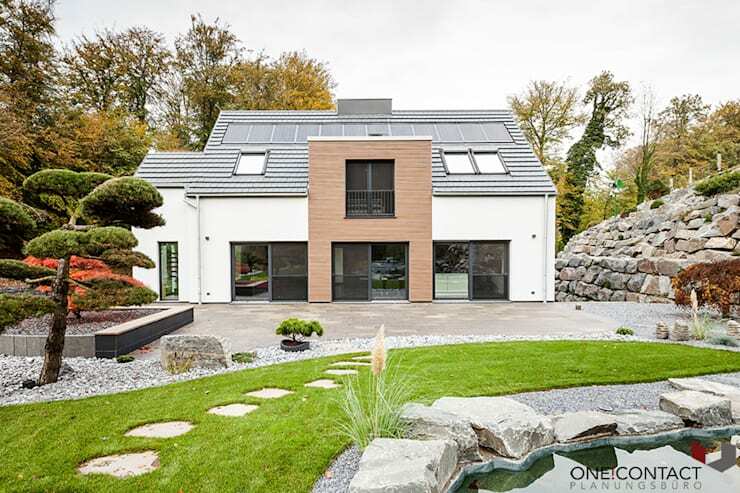 Each corner of this house is designed keeping in mind the requirements of an eco-friendly design. Comfort and charm have been skilfully integrated into the whole design. 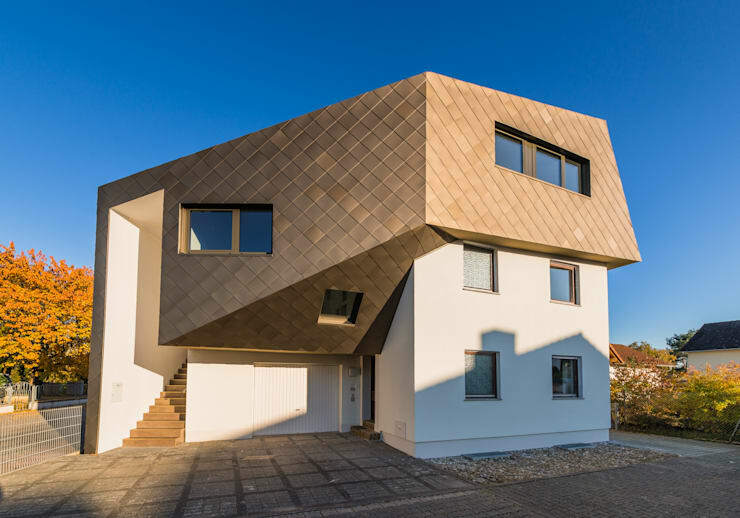 A combination of differing materials and textures make the exterior of this house look very interesting. Its copper tone top is duly complemented with unfussy stucco walls. Owing to location and the position of the glass windows, the owners of the house can also enjoy a panoramic view of the surrounding city. While planning the design of your prospective home, don’t forget to take into account the design of your front yard and back yard. You may need the help of an experienced landscape designer to plan a garden like this house on the image above. But it is worth the investment. Beautiful garden enormously boosts the beauty of the façade. Exposed stone walls were once a staple of many classical buildings. 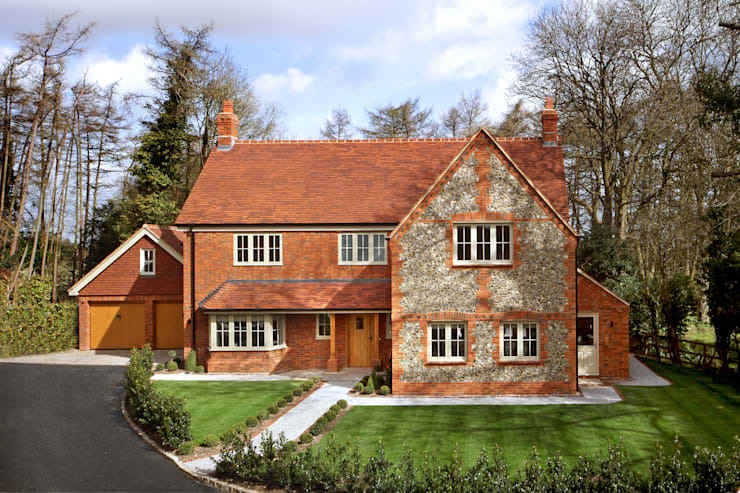 With their unique colours and textures, bricks and stones can give your house a chic look. Besides, they are easily available and some of the most durable materials for building any kind of structure. 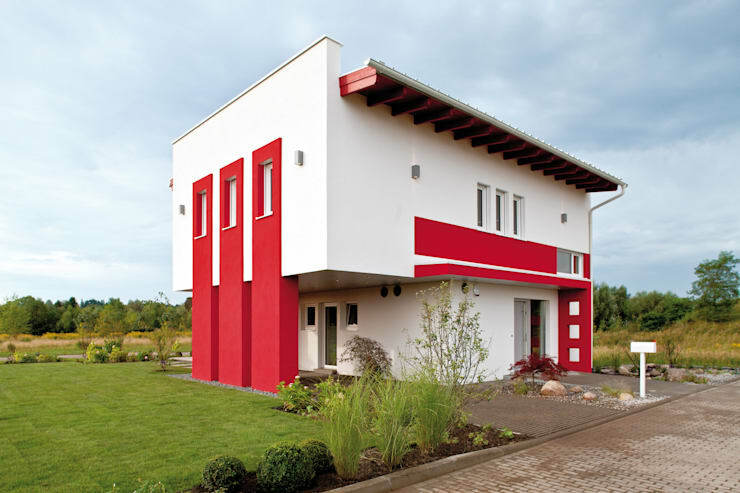 A combination of red and white marks the exterior of this two storey family house. It stands in the middle of its own garden. The interior of the building is tastefully designed in a comfortable fashion. Check out some fabulous window designs for your new home. 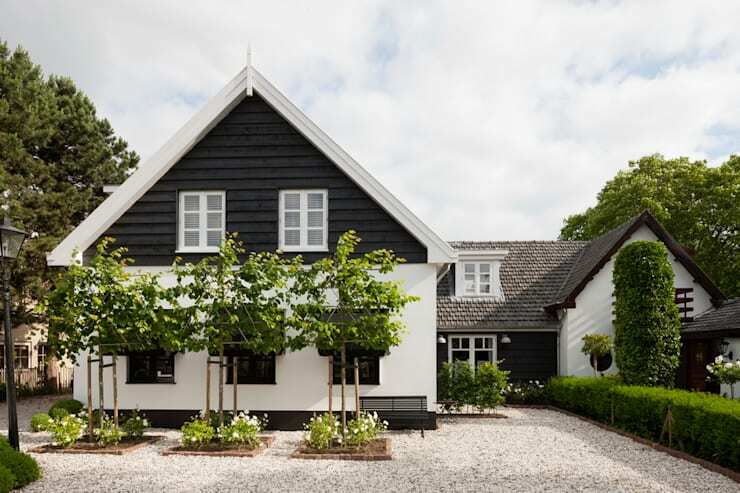 Which one of these family house designs did you find most attractive?